Have you reached a point of no return with your teeth and you want a permanent solution?? The All On 4 dental procedure is the perfect answer for permanently restoring your dental health. These implants will then be the anchors for a custom made set of beautifully fabricated teeth that will be attached to these anchors. Dr. Mario will cover the cost of roundtrip airfare, up to $500, for his patients from the U.S and Canada. Experienced, Skilled, and Recognized Dr. Mario has been providing superior, internationally recognized, dental care for over 20 years. A graduate of the University of Miami School of Medicine. A member of the American Dental Association. When you choose Dr. Mario to perform your All on Four permanent denture, you are putting yourself in safe hands. All of his work is 100% guaranteed. Dr. Mario only uses the best dental equipment manufactured in Germany and the US. He also offers the most effective pain management options including IV and gas. Over 60% of Dr. Mario’s patients fly down from the U.S. and Canada. In the United States, All on Four permanent dentures can cost up to $60,000. It can be even more expensive in Canada. Using the very same materials as a US dentist and operating in a multi-million, state-of-the-art dental facility, Dr. Mario charges less than $20,000, $19,600 to be exact, for the same procedure. Plus, in addition to that, you will receive a $$500 airfare rebate! Why is dental work so affordable in Costa Rica? Simple. Unlike US dentists, Dr. Mario is not burdened by the tremendous insurance costs and government red tape that can run into the hundreds of thousands of dollars each year. And the cost for highly trained technicians in Costa Rica is substantially less than the US. How does the All on 4 work? The All on 4 provides a surgical treatment option for replacing a full set of teeth in the upper and lower jaws using 4 implants placed precisely at strategic positions and at a certain angle in each jaw. This will serves as a solid foundation to support a fixed full bridge (anchored by these implants) that is natural looking, stable, durable and stays permanently fixed in place providing the functionality and bite quality that you would expect from natural teeth. This is an amazing offer from Dr. Mario. Not only will you visit beautiful Costa Rica, but you will also receive the dental care you desperately need to improve your oral health for less than half the cost than you would pay your local dentist. 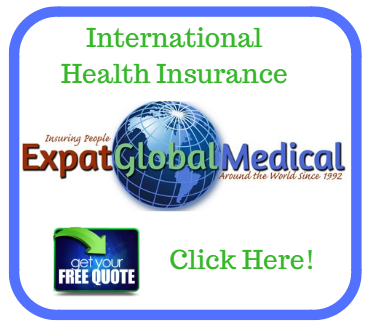 Medical tourism has been a hot topic for many years. The perception is going to another country for medical care (including dental care) is unsafe. However, this is only true when choosing unskilled, inexperienced doctors working in unsafe medical facilities. Dr. Mario has chosen to practice in Costa Rica because of its high quality medical facilities. His dental work is only performed in medical facilities with the highest level of patient care. With the latest equipment and tools available in these facilities, patients receive the same or better dental care than they would in the U.S. Your All On 4 implant treatment will NOT be performed by a dentist with minimal experience and skills. It will be performed by someone who not only received his dental degree in the U.S., but also his training and experience. The only difference with Dr. Mario is that he wanted to do more for dental patients in America. He wanted to be able to offer low-cost dental procedures. The only way to do that was to move his practice to Costa Rica. Since airfare is a consideration when seeking dental care in Costa Rica, Dr. Mario is willing to cover the expense. This way, you do not have to worry about adding that cost to what you’ll pay for the All On 4, which is half as much as you would pay in the U.S.
You cannot pass up this chance to get the implants and bridges you need for a significantly lower cost. There’s a reason you have found Dr. Mario, and it is because you need to have an All On 4, but you can’t afford the cost. Dr. Mario makes it possible for you to do that. Many of Dr. Mario’s patients treat their trip as a vacation. Flying into the country is easy from most areas of the U.S. When arriving in Costa Rica, you’ll find the residents will welcome you with open arms. They love Americans and want to help them feel at home. Whenever you need anything, simply ask someone, and you’ll receive the help you need. Costa Ricans are friendly, nice, and generous. Costa Rica has plenty of attractions for tourists. Visit the La Fortuna Waterfall for an amazing sight; connect with nature and its animals at the Dave and Dave’s Costa Rica Nature Pavilion Park; surf the waves or relax on the sand at Nosara Beach. This is the paradise you’ve been imagining, and this is the best opportunity because of the FREE airfare you’ll receive with your All On 4 dental treatment. Accommodations run the gamut in quality and price, although you can find low cost, high-amenity hotels close to Dr. Mario’s facility. Plenty of dining options are available. Costa Ricans enjoy sharing their traditional meals with tourists, and will often offer as much as Americans will eat. Food is love in Costa Rica, and there is plenty of it for everyone who believes the same. To set up your All On 4 appointment with Dr. Mario, contact dental coordinator, Charles Dennard. He will cover all of the details of your procedure, and get you set up with the free airfare you’ll receive with your appointment. In addition Charlie will help you with any and all travel arrangements, coordinate airport pick-up, go with you on your first dental appointment and introduce you to the staff, be available to you 24/7 while in CR, take you out to dinner as his guest and arrange for day trips in your free time to enjoy all that Costa Rica offers. You can live a quality life again. You will learn to smile and enjoy life again with a naturally white, beautifully crafted set of permanent dentures that never come out and save up to tens of thousands of dollars compared to your US or Canadian dentist. Plus free airfare! For many of you this is the answer. The only answer and, it is affordable, so come visit and get your All On Four Costa Rica scheduled with Charlie’s help! From Charlie Just For You! The only cost to you is the procedure (half the cost of what you would pay in the U.S.), hotel stay, and food. Think of this as a productive vacation. Recuperation time varies depending on the work performed, so it might be a good time to relax and remind yourself of how grateful you are in life. 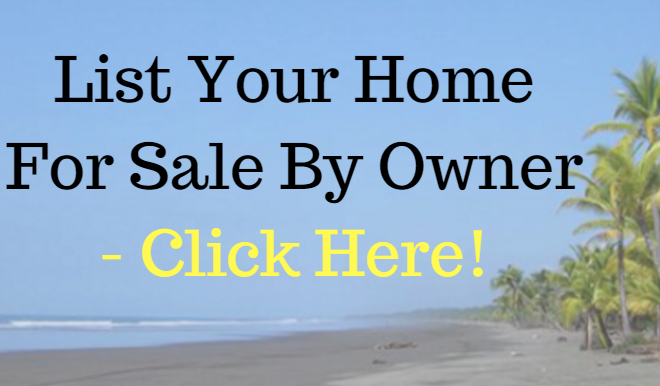 What better place to do that than with the beauty of Costa Rica surrounding you? Dental work was never so easy, affordable, and fun. Complete the form below to contact Charles Dennard. He will be in touch with you as soon as possible to answer all of your questions. Dr. Mario is a highly qualified dentist practicing in Costa Rica to make it possible for Americans to receive dental care at an affordable price. Get the dental care you need with Dr. Mario to improve the beauty and health of your smile. Hopefully we’ve been able to answer your questions about the Costa Rica all on 4 price and any other costa rica all on 4 issues, please contact us right away to get help your dental care scheduled! Hi my name is Carol Ross I live in the states but my mom and dad live in Costa Rica I need an upper and lower dentures and I am interested in the cost of the posts were they are permanent set on. How long would this procedure take? I have 11 teeth left basically up front,but need to be pulled and, would it be better if I get them pulled up here first? Hello Carol, Please fill out the contact form of our Dental Facilitator in Costa Rica Charlie Dennard to get in contact with him, He will be happy to clarify all your questions about this subject. Mike my wife, Carol Ross has told me so much about your dental work would you please call me so I can set up the appt. I will explain to you about what happened to my front teeth in full when we talk. I have X-rays and all total medical records which will be very helpful for your team of experts. She (carol ross) can not have hers done yet untol her settlement goes to the federal court which she just got a notice from her lawyers stating we are near to the court date. She also will be doing these implants, hers is more extensive! Anyway please call Leo he can set up a time soon. Hello Ralph, thank you for your message, We just sent your request to our Dental Facilitator in Costa Rica Charlie Dennard, He would be in contact with you shortly. I already have 4 lower implants placed, but live in a state which has only 2 prosthodontists. I need a very skilled dentist to make properly fitting dentures bec I have a cross bite and poorly fitting bridge many years ago eventually led to loss of all lower teeth. I learned that making a lower denture here costs more than twice what the implants cost. Will you make a denture, hopefully a fixed one, for patient who has already gotten implants? Approximate cost for 10 teeth on lower denture? And how many days it will take.